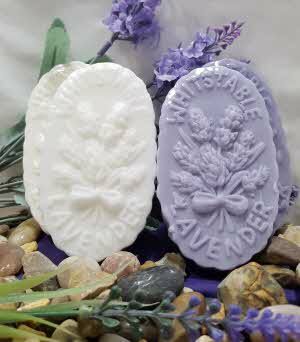 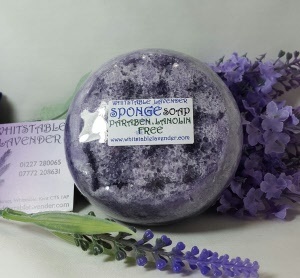 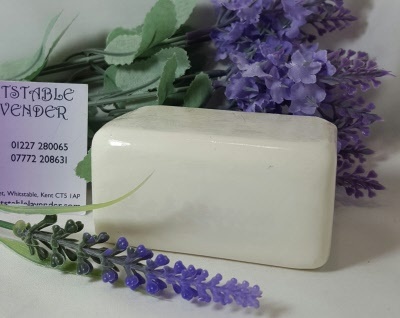 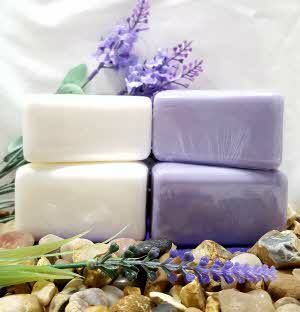 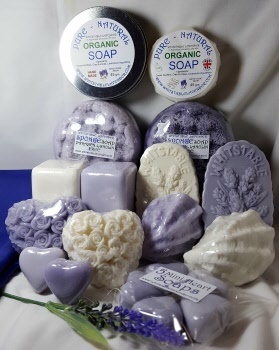 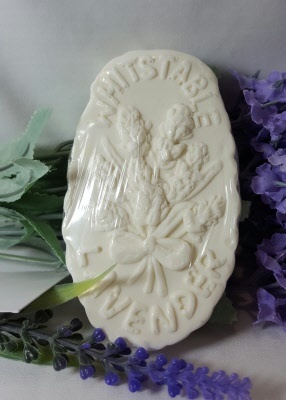 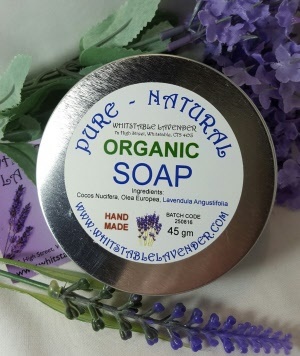 The Lavender Soap Bars range available in many shapes and sizes. 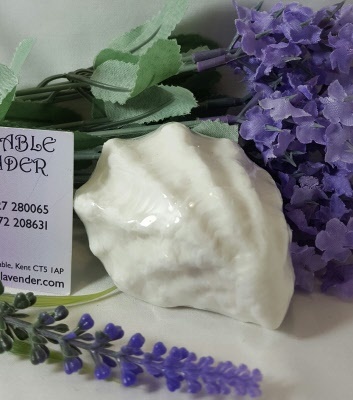 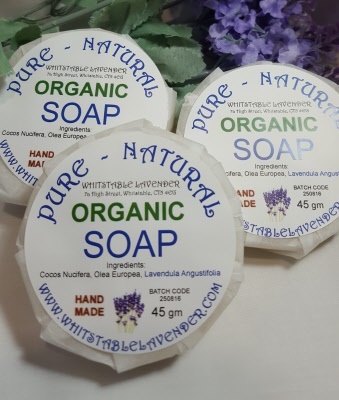 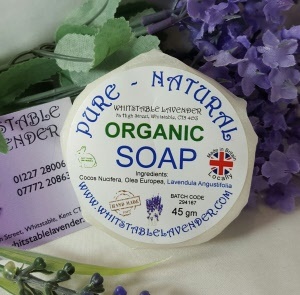 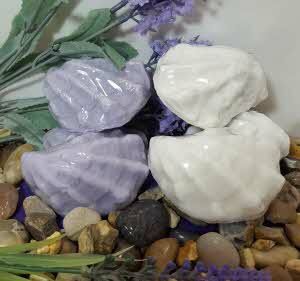 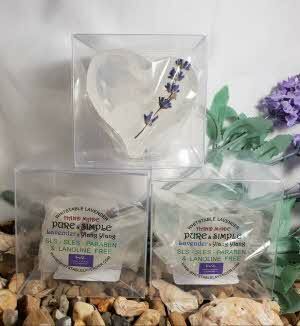 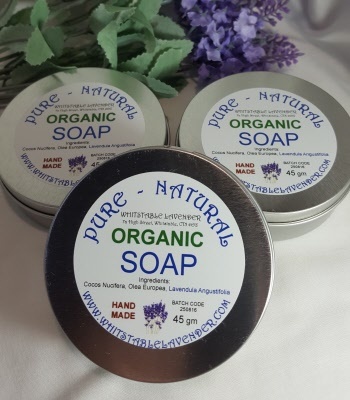 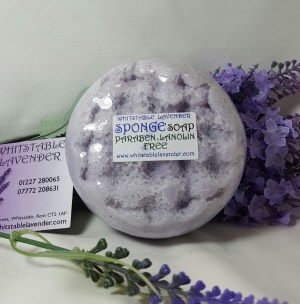 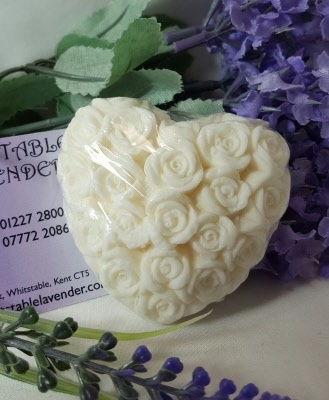 Some of our soaps are also available in White and have the same Lavender scent as the Lilac coloured soaps. 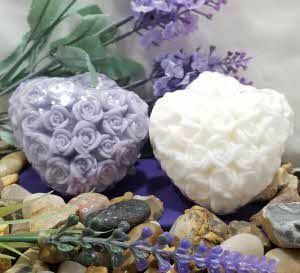 Sponge shape in Lilac (light colour) or Lavender (Dark colour) - Oyster shape in Lilac or White - Rose Heart shape in Lilac or White - Oval shape with Lavender Embossed Plant in Lilac or White - Block shape in Lilac or White. 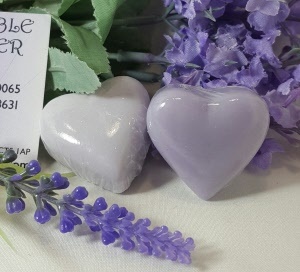 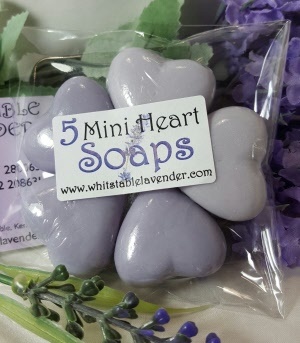 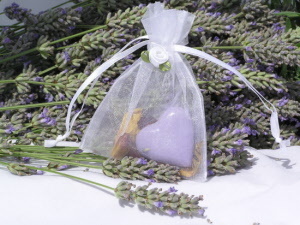 The Lilac coloured Mini Heart soaps are popular as Wedding Favours and can be supplied in either White, Lilac or Lavender colour Organza Bags.